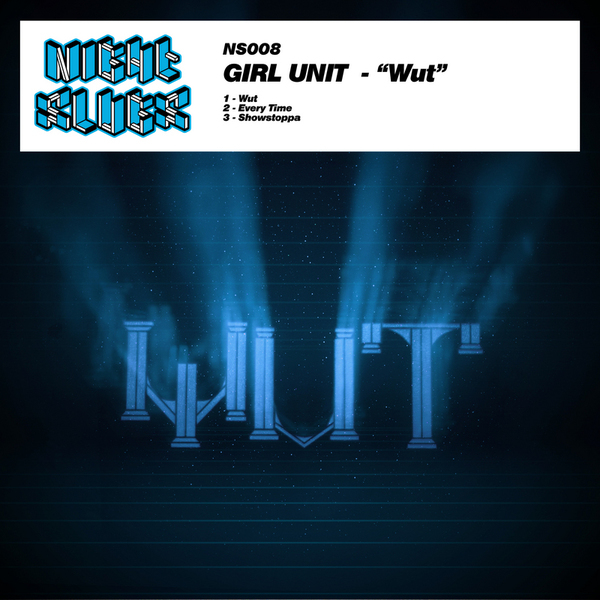 Solid gold anthem business from Girl Unit on the follow-up to the killer 'I.R.L' 12" for Night Slugs. It would appear from his form this year that Girl Unit specialises only in BIG tunes, which is no bad thing when you've got a rave to rub up the right way. At the pinnacle of this particular monolith is 'Wut', his scorching fusion of Araab Muzik-style martial 808's and purest R&B synthline saturation that's become a staple in the sets of Jackmaster, Ikonika and Oneman since the summer. There's no avoiding it's lazered brilliance, beaming rapturous organ and that earworming vocal snippet like the light of the second coming. OK, maybe that's a bit strong, but we've definitely seen nerds prostrating at the speakers when this is dropped. Still following the crunk money trail, 'Every Time' jams out spindly triplets and boom-quaking bass hits with properly epic synth arrangements, leaving 'Showstoppa' to go out in a blaze of glory driven by huge black Bentley bass wamps and future lurching synth moves. Right here, right now, they don't come any bigger than this 12". Massively recommended!